Allow us to introduce the insurance professionals in our corporate family. Founded in 1952, our insurance agency has grown from one office in Wood River back then to nine offices today. The professionals of Heritage Insurance are available to assist you with all of your risk management needs including farm owner, commercial, crop, homeowner, auto, life, health and disability coverages. You shouldn’t attempt to insure every risk in life. Our team can help you determine your tolerance for risk, and then customize an insurance solution to meet your unique needs. First, we’re an independent insurance agency with many different insurance companies at our disposal. That means we can shop around and find you the best possible value. Second, you’ve grown to trust and respect your Heritage Bank Relationship Manager over the years. You can expect the same level of expertise and professionalism on the insurance side as well. Third, our ability to understand your total financial picture, from both the insurance and banking perspectives, puts us in better position to help you manage your risk. That means added convenience and peace of mind for you knowing you have no more and no less coverage than you truly need. And lastly, because we’re a locally owned and managed business too, we face the same challenges you do every day. Adding our day-to-day experience to your decision making team will be a value-added proposition. We would appreciate the opportunity to earn your insurance business. Please give us a call for a complimentary review of your coverages and let us see if we can help you use your dollars more efficiently and effectively. Insurance and investment products are not obligations or, guaranteed or insured by the bank, the FDIC or any other government agency. Investments are subject to risk, including possible loss of principal. At Heritage Insurance we want to ensure your most valuable physical assets are insured properly. We are here to help you understand insurance perils, coverages, and options. A personal insurance agent at Heritage Insurance will help you purchase an appropriate level of insurance coverage at an affordable cost. We will quote your insurance with multiple top-rated insurance companies to ensure you get competitive pricing. You will have the peace of mind knowing we’re right here locally when you need us! Contact us today so you can spend your time doing something more enjoyable than searching endlessly through online insurance offers. Every Ag producer knows that owning your own operation involves risks. Every day, your operation faces unexpected risks. But you can protect yourself, your operation, your family, and your employees with proper insurance coverage. We work with multiple top-rated insurance companies to cover your property, crops and livestock, and to provide liability and workers compensation protections. The Heritage Insurance team collectively has over 300 years experience in farm and crop insurance. Let’s sit down together and discuss how we can improve your coverage or lower your insurance costs to keep your operation successful. Owning a business comes with many responsibilities…to your shareholders, your employees, and your customers to name a few. Making sure your business is protected with proper insurance coverage is an important step toward meeting those responsibilities. As business owners too, we understand that cost controls are important to your business’s success. That must be balanced with ensuring adequate protection for your assets and insulation from risk. Isn’t it time for a comprehensive risk management checkup with one of our commercial insurance specialists? Heritage Insurance has many highly rated insurance companies to offer you a variety of affordable insurance options that will give you lasting peace of mind. Give us a call today to put our knowledgeable commercial agents to work for your business. Heritage Insurance specializes in both individual/family health policies as well as employer group plans. With the rising cost of health insurance we think outside the box to come up with creative ways to insure you and your family at the best possible cost. We look at both partially self-funded and traditional insurance to find that perfect balance. If you find yourself unable to work due to a sickness or injury, Short Term Disability insurance will provide cash benefits to put your mind at ease about financial stress. We know we can’t survive with out a pay check can you? Contact us today to learn more about an affordable short-term disability insurance plan. Did you know that most people buy life insurance seven times over their lifetime? That’s because your needs change as you move through life. It’s important that you work with a life insurance professional to periodically review what you have for life insurance in relation to the rest of your financial picture. Early on in adulthood, you’re probably trying to create an estate to provide for a spouse and young children. By middle age you may be looking to also cover debt obligations. In your later years you may be looking to preserve wealth by using life insurance as an estate planning tool. No matter the life stage you’re at, a Heritage Insurance life insurance agent stands ready to lend a hand. When is the ideal time to purchase long-term care (LTC) insurance? What will it actually do for you? Those are both excellent questions, and are all the more reason to work with a long-term care insurance specialist at Heritage. It’s a known fact that the earlier you purchase coverage, the less it will cost you. The ideal time is late 40’s to early 60’s. Many people make the mistake of waiting until a need for long-term care services arise; by then, it’s too late to obtain coverage. Call us and we’ll help you understand your options, what a LTC policy covers, and how those coverages have evolved to keep you in your own home longer. If yes, what is the name of your relationship manager? A professional insurance agent since 1990, Rick specializes in Commercial and Farm Insurance. He is a Kearney State College graduate. Rick enjoys learning about the client’s business and helping them find solutions through sound insurance products quoted by multiple companies to ensure competitive pricing. His Life Insurance Training Council Fellow Designation benefits clients through advanced understanding of life insurance needs and solutions. Health insurance specialist serving clients throughout Nebraska and Arizona, where she grew up. Felicia graduated from Arizona State University with a Bachelors in Pre-med and a minor in accounting and biology. She applies her “can-do” approach to help groups of all sizes as well as individuals who need their own health insurance coverage. She identifies needs and recommends solutions to best address each client’s unique situation. Graduated from Central Community College with a degree in Business Administration and Management. Tiffany has worked as an Insurance CSR with Heritage since 2013. 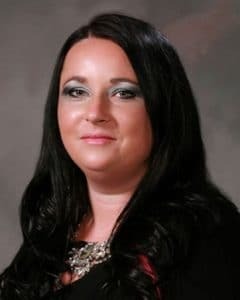 She is a licensed Property & Casualty insurance agent specializing in delivering prompt and professional service to our personal insurance customers. Bob holds a BS degree in Ag Economics from the University of Nebraska-Lincoln. 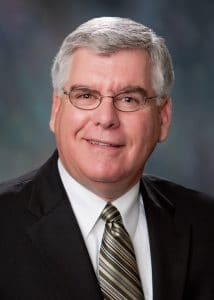 His 42 years experience in agricultural and commercial lending is a great asset to his customers as well as to our younger RMs. Bob specializes in operating, equipment term and real estate lending. 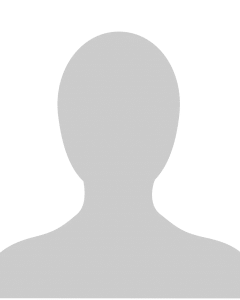 He is also a licensed Crop and Property/Casualty insurance agent. Jim has 38 years experience in banking, insurance and real estate. He has a B.S. 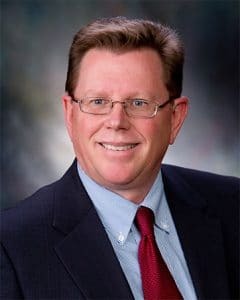 in Ag Economics from University of Nebraska-Lincoln, and completed the Graduate School of Banking in Boulder, CO. Jim also holds State of Nebraska Real Estate Brokers License, along with Property/Casualty, Life and Crop Insurance Licenses. He is committed to helping customers reach their goals, through analysis of business opportunities and risk management. Sara holds a BS in Business Administration from University of Nebraska-Lincoln, and is also a licensed Property & Casualty Insurance Agent. She manages regulatory compliance for Heritage Group and performs the insurance agency’s accounting functions. 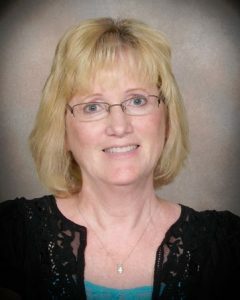 In addition, she specializes in serving the Health Savings Account and IRA needs of our customers. 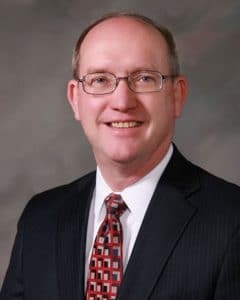 Curt joined Heritage Bank in 1991, and provides loan and financial services to agricultural and small business customers. He graduated from the University of Nebraska – Lincoln with a B.S. degree in Agricultural Economics, as well as the Graduate School of Banking in Colorado. In addition to his banking duties, Curt is a licensed crop insurance agent and licensed Nebraska Real Estate Broker. Heritage Insurance CSR since 2016, with an emphasis on health insurance client service and health agent support. Sheila came to us with 20+ years of banking experience. Rod’s 22 years of experience in Production Agriculture, and 10 years experience in Automated Manufacturing make him uniquely qualified to understand his Ag and Business clients’ needs. Rod studied business at the University of Nebraska – Kearney. 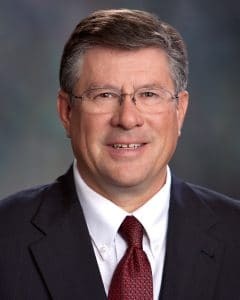 He joined Heritage Bank in 1998 and earned his crop insurance license then as well. In addition to his banking and insurance duties, Rod is a licensed Real Estate Agent. He specializes in developing new partnerships and expanding relationships with existing customers. Maureen earned a Bachelor of Science degree from University of NE at Kearney. 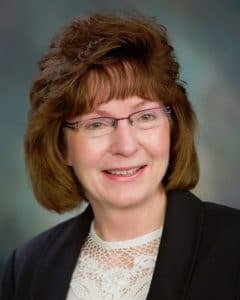 She has been assisting insurance clients from the Wood River office since 2008, as well as serving as the agency’s crop insurance CSR specialist. 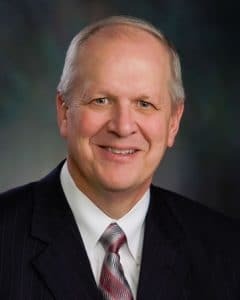 Joe holds a BS in Business from University of Nebraska Lincoln, and has been a Relationship Manager for Heritage Bank since 1987. He specializes in Small Business, Farm Operating, Farm Real Estate, Ranch Operating, Cow/Calf and Feedlot Financing. Joe is also a licensed insurance agent specializing in multi-peril, crop hail, farm, small business, home and auto insurance. 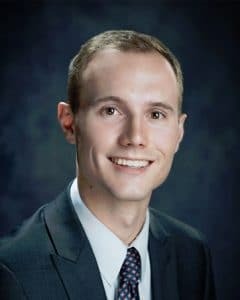 Matt Goracke graduated from the University of Nebraska-Lincoln where he obtained a business degree, majoring in economics and finance. He has been with the bank since June of 2016 and works with loan and insurance customers in the Neligh, Stromsburg and Loup City areas. 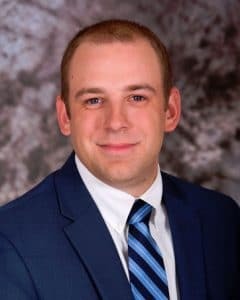 In his role as Senior Loan Officer, Matt oversees lending and loan administration for all Heritage Bank branches. 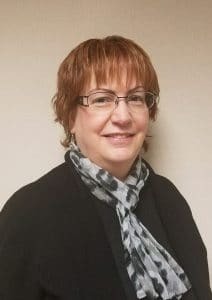 Nancy has 17 years experience as a licensed Property & Casualty Insurance agent and has been with Heritage Insurance since 2006. She prides herself in providing prompt and professional service to all our insurance customers. Nancy has served as the agency’s Claims Manager for all Heritage insurance locations since 2014. Jacob has five years of experience in banking and insurance. He holds a BS-Finance from University of Nebraska-Kearney and is licensed in Property/Casualty and Crop insurance. 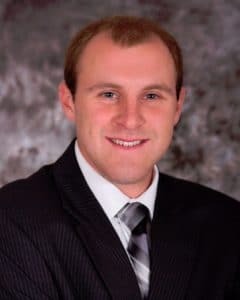 Jacob enjoys the opportunity to establish and build relationships with Ag and Business customers, while providing advice and financial expertise. Jacob also serves as the company’s lead talent recruiter as we grow our team of professionals. 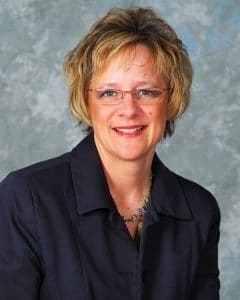 Karen’s 37 years of banking experience and 15 years of crop insurance make her a natural “go-to” expert for customers and co-workers alike. 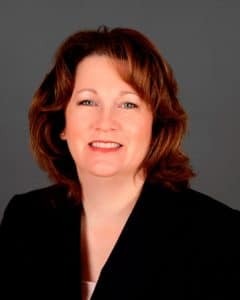 She serves as one of the bank’s Mortgage Specialists, and holds an Associates Degree in Paralegal services. Karen takes pride in providing friendly customer service in all areas of the bank and insurance. Adam holds a BS in Agribusiness Banking and Finance from the University of Nebraska-Lincoln. 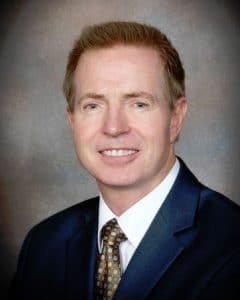 He joined Heritage Bank in 2015, and earned his Property & Casualty Insurance license in 2017. Adam specializes in Agricultural, Commercial, and Consumer Lending for Heritage Bank in the Red Cloud area. In addition, he now serves as the company’s Director of Sales. Graduate of Central Community College-Hastings. 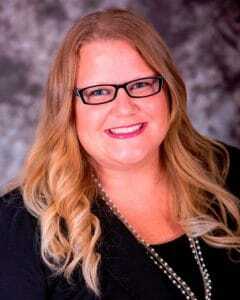 Dannielle began as a CSR with Heritage Insurance in 2016, and earned her Property & Casualty insurance license in 2017. She assists customers and agents to ensure prompt accurate service is delivered.